Do you ever walk into your bathroom and find it is starting to feel dull and a little too worn for your liking? A simple update can make a world of difference to your bathroom to look and feel new. Take a look at Italia Ceramics 5 hot tips for updating your bathroom and giving it a little pick-me-up without breaking the bank. A simple bathroom design can be completely transformed with a touch of creativity. To keep an all white bathroom from looking sterile and bland, consider soft, subtle textures. Tiles are great for incorporating texture and pattern without feeling too overpowering. Create a spa-like retreat with natural earthy materials such as stone tiles that give a soft elegant feel. Marble mosaic tiles are designed to capture your attention instantly. Using marble mosaics as a splashback tile for your bathroom will draw attention to the area making the centrepiece to your bathroom. Marble mosaic tile offers endless design flexibility for their wide range of sizes, colour and shapes from penny rounds to herringbone and chevron patterns and mermaid tile shapes. Marble mosaic tiles are also great for adding subtle touches of colour to your shower or bathroom niche. Think creatively about items you can recycle, refresh or use in its current state or form and be reused in your bathroom. Whether it is recycling wood crate trays with rope handles, painted old tarnished mirrors, upcycle old light bulbs into candles, repurpose old jars, bottles and bowls into light fixtures or decorative accessories. Add playful yet creative quirky touches with old-fashioned mirrors, vintage wall plaques and quirky light fixtures to project warmth into an inviting bathroom setting. It is no secret that colour adds distinctive character and personality to any bathroom. Dare to be different and give your home the definite ‘wow’ factor using bold colours to add depth and visual interest to the room. Adding a pop of colour whether it is bathroom towels, floor mats, soap dispensers or decorative items is a simple way to adopt a facelift to your bathroom. Find the best colour tiles for your bathroom that you will love and compliment the space. Bright coloured subway tiles are great for making a bathroom look fresh and alive. Adding visual interest to a space that you’ll forever love and enjoy! There’s nothing quite as refreshing than bringing Mother Nature indoors, this is a big trend in the home today. The bathroom is a great place to go green. You would be surprised to discover how many benefits the practice of going green can bring to the bathroom. Incorporating a little touch of nature into your bathroom can go a long way to add that pop of colour into your bathroom. Go any type of plant or shade of green that you desire in the space. Enhance the use of natural light into your bathroom not only is it energy sufficient but also prevents a bathroom looking too dark and not overpowered by fake fluro lighting. Lighting can make a big difference in small bathroom settings so it is important to consider all options. 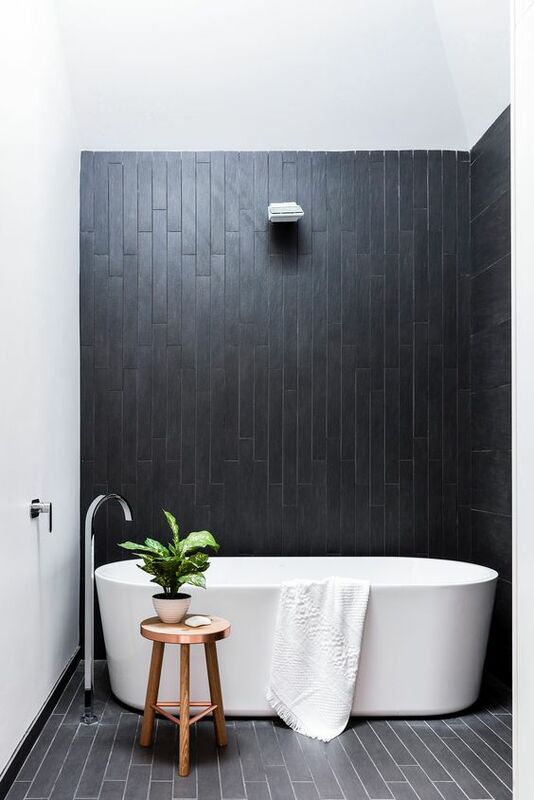 Looking for a bathroom tile that echoes the warm aesthetic of natural timber flooring, without a single tree being felled? Italia Ceramics range of eco friendly tiles are versatile for all residential or commercial projects, inside or out, providing a contemporary feel, classic endurance and has the styling flexibility to reflect your own unique design. Sustainability is more than a buzzword; it’s a way of thinking and operating that we must all embrace.